Illustration made for the 2009 Medical Illustration Sourcebook and other promotional materials. 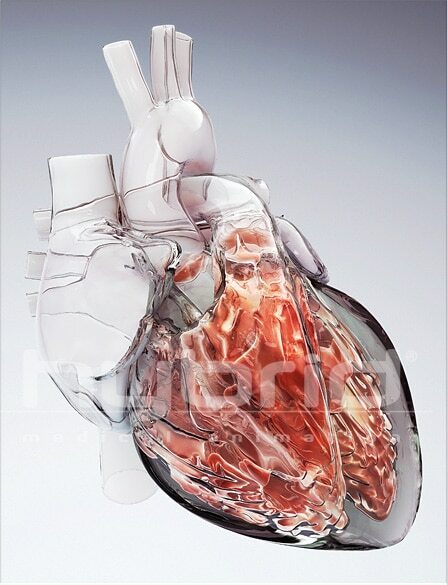 An animation of this heart also appears in the 2008 promotional reel and in the Hybrid Interactive Heart, where the viewer controls the ability to blend between “normal” opaque tissue and this refractory glass appearance. This allows for a unique vantage of the valves and chambers.